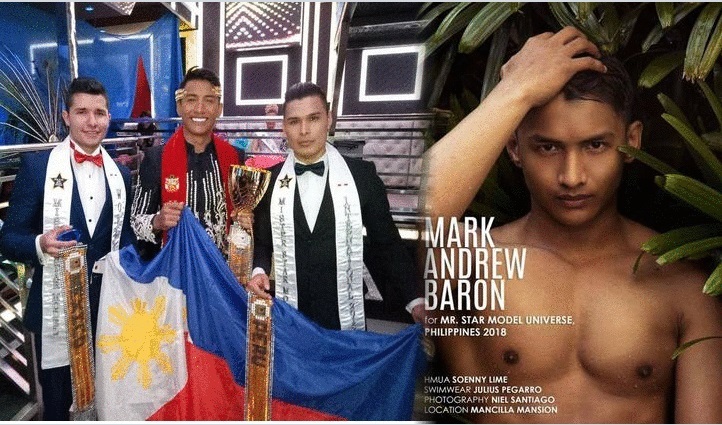 24-year-old Mark Andrew Baron from the Philippines was named Mr. Star Model Universe 2018 held in Lima, Peru on May 28, 2018. Baron is a graduate of Bachelor of Secondary Education Major in Social Studies and currently a teacher at San Rafael Technological And Vocational High School in Navotas. Mark is not new in the glitz of male pageantry as he represented the Philippines at the Mr. Real Universe 2015 pageant in Guayaquil, Ecuador. Mabuhay Mark!